Michael Laus started his musical studies at an early age. He successfully completed the Licentiate of the Associated Board of the Royal Schools of Music under the tuition of Cynthia Turner. In 1979 he was awarded a scholarship from the Italian Cultural institute which enabled him to continue his studies in piano, harpsichord, composition, and conducting at the Conservatorio Giuseppe Verdi of Milan, where he graduated in 1982. He later participated in master classes in conducting given by George Manahan in the United States and Vladimir Delman in Bologna. He has appeared as Music Director of a large number of operatic productions in Malta, at the Berne State Theatre and in Oviedo. 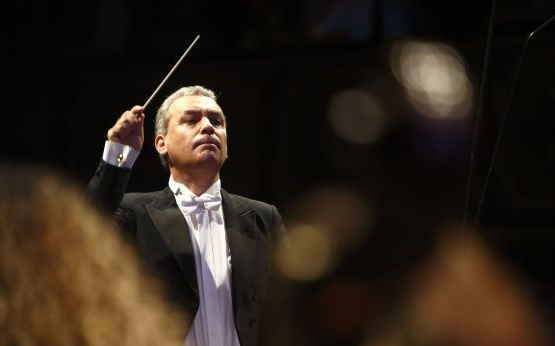 Michael Laus, principal Conductor of Malta’s national orchestra between 1991 and 2014, has been invited to guest conduct several other prestigious orchestras. He has appeared on Rai 3, France 3 and Mezzo television channels. He is Associate Professor in Music Performance at the University of Malta. Born in Varese in the north of Italy, Riccardo Bianchi is a very exciting choir and orchestra conductor. 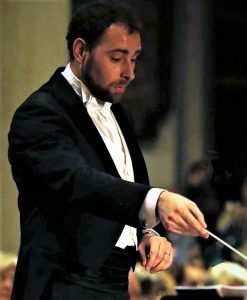 He started his fruitful collaboration with Malta Philharmonic Orchestra in 2016 as Malta Youth Orchestra Resident Conductor, Malta Philharmonic Orchestra Assistant Conductor and Chorus Master. He studied composition at the “Conservatorio di Milano” with Pippo Molino, graduated in orchestra conducting from the “Conservatorio di Trieste” with Antonino Fogliani. In addition, he also has as a post-Master’s academic degree from the “Conservatorio della Svizzera Italiana” with a specific focus on contemporary music. He carried out his choral conducting studies and graduated at the “Conservatorio di Torino” under the guidance of Dario Tabbia. He furthered his musical training at the Accademia Musicale Chigiana in Siena where he studied conducting with Gianluigi Gelmetti. He also graduated in philosophy with Honours but what he treasures the most are the titles of friendship that bind him proudly and closely with all the Maestros he has studied with.